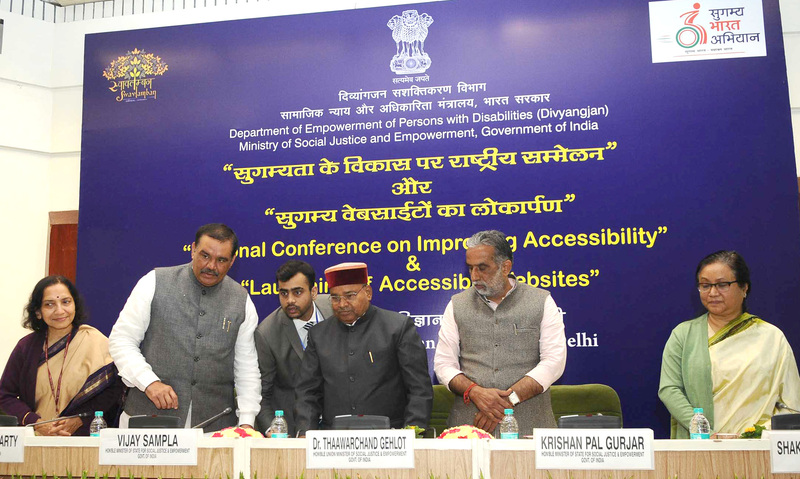 In a path breaking initiative to empower Persons with Disabilities, 100 Accessible websites of various State Governments/UTs under Accessible India Campaign were launched by the Union Minister for Social Justice and Empowerment Shri Thaawarchand Gehlot on the occasion of National Conference�on Improving Accessibility here today. Ministers of State for Social Justice and Empowerment Shri Vijay Sampla and Shri Krishna Pal Gurjar were present. Secretary, DEPwD Shri Shakuntala D. Gamlin and the officials from Ministry of Road Transport and Highways, Ministry of Electronics and Information Technology, Ministry of Civil Aviation, Ministry of Information and Broadcasting, Ministry of Railways, Ministry of Housing and Urban Development participated in the conference and submitted their valuable inputs on implementation of accessibility in various walks of life. Accessible Websites are those websites into which Persons with Disabilities can perceive, understand, navigate, and interact with the Web, and that they can contribute to the Web. 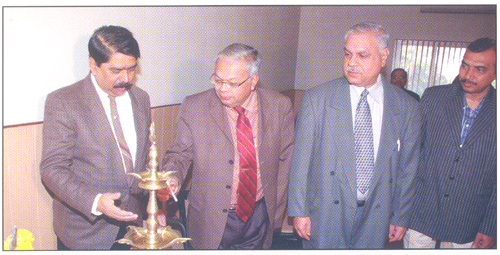 The Department of Empowerment of Persons with Disabilities (Divyangjan) initiated a Website Accessibility Project for State Government/Union Territories under Accessible India Campaign through ERNET India, an autonomous scientific society under the Ministry of Electronics Information Technology (MeitY), to make total 917 websites accessible and providing funds for the same. Now 100 accessible websites are made accessible under the project. 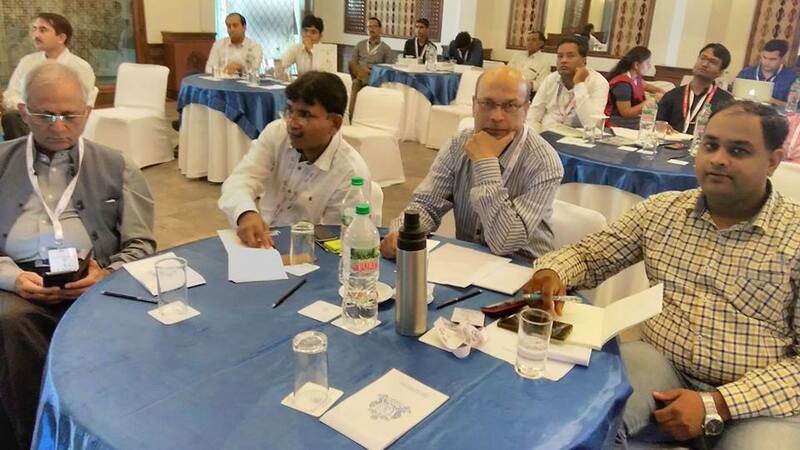 The aim of the conference was to sensitize and bring awareness among different stakeholders including the officials of state government on accessibility in the context of recently enacted Rights of Persons with Disabilities, 2016. The Accessible India Campaign has three important components viz Built Environment; Transport and Information and Communication Eco-system accessibility. ��� In his address, Union Minister for Social Justice and Empowerment said that the Divyangjans are an integral part of our society and we have to play an active role for their welfare. He said that Accessible India Campaign is a nationwide flagship campaign of Department of Empowerment of Persons with Disabilities, Ministry of Social Justice and Empowerment. The aim of the campaign is to make a barrier free environment for persons with disabilities all over the country for safe, dignified life of Persons with Disabilities. He said that around 5800 ADIP camps had been organised nationwide by his ministry for distribution of assistive device to Divyangjans. He opined that such Accessible websites will play an important role in proper dissemination of Governments policies and schemes for the welfare of Divyangjans. 2 Shri Vijay Sampla in his address said that today we have moved ahead are more step towards Accessible India campaign by launching 100 Accessible websites of various State Governments/UTs under Accessible India Campaign. He said that DEPwD is doing a commendable job in this regard. In his address Shri Krishan Pal Gurjar said that during past three and a half years many revolutionary steps have been taken by DEPwD, Ministry of Social Justice & Empowerment for the welfare of Divyangjans. He said that we need to empower the Divyangjans so that they can lead a normal life. Addressing the gathering, Mrs. Shakuntala D Gamlin urged the Central and State Government Departments to adopt accessibility standards while providing any service be it physical, infrastructural and IT etc. Mrs. Dolly Chakrabarty Joint Secretary, DEPwD emphasised on ensuring rural access as there is substantial difference in planning accessibility in rural areas and it is a less talked about topic in the growing era of urbanisation. ERNET India (MEITY) is executing the project which is funded by DEPwD under Accessibility India Campaign so far 917 websites across 27 States & UT have been chosen from the list of websites which have been provided by the State Social Welfare Departments through DEPwD. Accessible Website Design Principles: - Provide appropriate alternative text, Caption video; Provide transcripts for audio; All documents (e.g., PDFs) to be accessible; Do not rely on color alone to convey meaning; and Make sure content is structured, clearly written and easy to read. Current Status of Accessible Websites: -Total no. of websites: 917; Under Development: 244; Developed and Internally Audited: 208; and Live: 100 Web content accessibility guidelines �WCAG 2.0 :- Websites are made accessible by complying it as per Web Content Accessibility Guidelines (WCAG 2.0) published by the Web Accessibility Initiative (WAI) of the World Wide Web Consortium (W3C), the main international standard organisation for the World Wide Web. The guideline establish three levels of accessibility on basis of which websites are designed, namely:- ? Level A: This Indicates the basic level of accessibility that�any web page must have ? Level AA: This indicates an intermediate level of accessibility that any web page should have ? Level AAA: This indicates�the highest level of accessibility that any web page can achieve The founding principles of the guidelines state information and user interface components must be presentable to user in ways they can perceive, user interface components and navigation must be operable and information and the operation of user interface must be understandable. Moreover, content must be robust enough that it can be interpreted reliably by a wide variety of user agents, including assistive technologies. You may become another victim of Online Work from home type scamster companies if you wont read this article. Fraud and falsification are highly destructive to market capitalism and, more broadly, to the underpinnings of our society. Our market-system depends critically on trust. Trust in the word of our colleagues and trust in the word of those with whom we do businesss ----Alan Greenspan The relationship between a customer and a business organization can stand only on the pillars of trust, faith, fair dealing and mutual expectation. Remove any pillar and the business will collapse but in the great Internet fraud factory these pillars are non-existent. Just a Google search for ?internet fraud? pops out 26 lacks results in less than 28 sec indicating the huge menace the global networked world is facing, its a vicious cycle of greed, ignorance and fast money, which prods the victims to believe in these surreal scams, they invest their hard-earned money and time. The fraudsters spin their web of lies and deceit, dangling the lure of easy money and false commitments they wait to devour their victim of their self esteem and trust, brutally savaging their faith in the internet, worst still in majority of cases the victims have no redressal� mechanism in their country as where to complain since these fraudsters leave no physical and legal footprints . The onus no doubt lies with the unsuspecting victims but, it is also up to the various countries to make their legal IT Laws stringent and strong so that these fraudsters are treated as global frauds and be strictly dealt with. Government organizations and NGO�s should educate the netizens on the ?human trust? traps laid for them on the information superhighway. This article deals with the dubious mechanisms of fraudulent solicitations made by internet fraudsters, what can be done if we fall as victim of online survey frauds. This reason is enough for you to understand that these companies is nothing but a scam company. But still you read other reasons so that you will be fully convinced. Can you imagine you are working in Reliance & you are getting your salary from TATA. But if you visit these sites, you will find they have done this mistake in their payment proofs. They show you the jobs of Paid advertisement & Online Surveys on their website but all the cheques shown as payment proofs & testimonials on their website is from Google AdSense & Commission Junction. Paid advertisement & online surveys are totally different from Google AdSense & Commission Junction (CJ). If you are working on paid advertisement & online surveys then you are neither going to receive your payment from Google AdSense & nor from Commission Junction. There is only one way to receive money from paid ads & online survey & that is PayPal. There is not a single payment proofs from PayPal on these website. Why these websites dont show payment proofs for Paid ads & online surveys? Because these websites don�t have any payment proofs. There are very few sites who pay you for paid ads & online surveys & if you work on these sites, you will not be able to earn more than Rs.1000 to Rs.1500 in a month. If they will show payment proofs of Rs.1000, you will not buy their package. Is the payment proofs of Google adsense, clickbank or CJ (commission junction) real ? No, all of the cheques posted on these websites are fake because these websites are showing latest cheques of even the year 2015 but Google AdSense, Clickbank and CJ have stopped paying through cheuqes long before. Now these companies pay through bank transfer. So there is no question of receiving payment by cheques from last couple of months. So this is a proof of scam. You will be surprised to know that the format of Commission Junction cheque they have posted on their website is around 4-5 years old & they are showing this old cheque with 2014 date. 1. Cheque format is completely different. Google discontinued the format in 2011 where you will find Google INC., & its address on the top right of the cheque. So they are showing very old cheque with the date of 2014. 2. See how the amount is written in words. In the real cheque, 31 paisa is written as 31/100 INR but in the fake cheque 20/100 is missing for writing 20 paisa. 3. See there is no mention of cheque number anywhere in fake cheque. 4. See the letter spacing between the date, its edited very unprofessionally. So anyone can easily identify that this is nothing but a fake & modified cheque. 5. They have copied the old cheques from other sites, change the date & other details through Photoshop. This is nothing but crime. I used to check reviews & complaints of many online jobs sites on internet and I was surprised when I started checking these complaints. Not 10 or 20 but there are hundreds of complaints on different sites from number of people. It means they have cheated thousands of people in India. If you click these links, you will find dozens of complaints on each & every website. So you can decide if a company who is receiving so many complaints is a trusted company or a scam company. This is the case of cyber crime & if you are already been cheated then you have to submit a complaint to cyber police. Do you know, what you will get in the CD when you order & receive these fraud companies package? Just the list of fake sites for paid advertisement & online surveys. But there are only 5-7 trusted sites for paid ads which pay their members. If you search Google for paid ad sites or online survey sites, you will find hundreds of sites where you get the same list without paying anything. You can see their website where they have shown that you receive paid advertisement by email & you will get paid $0.25 (Rs.15) for viewing the ads. But in reality there is not a single trusted website which send paid ads in the email. And there is not a single paid ad sites which pay more than $0.01 (60 paisa) for viewing one ads. And same is the case with online surveys because $1 is the maximum amount you will receive for completing one survey in India. They are just showing you the lollypop so that you will be tempted to order their CD. Once you receive the CD, you will never get any response. If you visit the website of these companies then you will not get any option for login. Then why they have mentioned that you will get the username & password in the CD package. They have also mentioned that there is no renewal charges & no expiry date. So when there is no option for login to the site, where is the question of renewal & expiry. Do you know you can find the name of the website owner & his contact details by visiting http://who.is and https://whois.net/ websites but if you try to find the name of the owner or the contact details of these companies, you will not get anything because they have hid the details by paying extra to the domain registrar. Trusted sites never hide their details from Who.is, so its the direct indication of scam. Even you can�t get the contact number & name of the owner on its contact us page. So you can see how these fraud companies are doing scam from their website. If you have already burnt your fingers then you can share this article so that you can alert other people from losing their money. Will Brand Apple pull huge premium for the new iPhones? Apple Inc's much-awaited iPhone 6 may not have an immediate or major impact on company's market share in India, experts said.Premium pricing and not-so-relevant applications may find limited takers for the iPhone 6 in the country, they said. According to company's India website, Apple's new large-screen phones � iPhone 6 and iPhone 6 Plus � will be available in India from October 17 and the new smartwatches only next year. "Price-point is something that is killing the brand right now. They need to understand that they cannot offer same set of features at such premium price point. It will be difficult for them to justify the price. The latest example is the tremendous response to Xiaomi, which shows that buyers today are not really brand specific but more driven by price and features that a product offers," said Binoy CS, director telecom practice, Frost & Sullivan. Apple, known for its innovations, has joined the competition for bigger screen phones late. 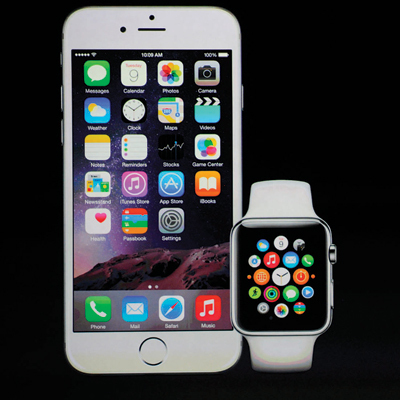 The two new phones are Apple's entry into the larger than 4 inches, aimed at challenging competitors like Samsung. The company is yet to unveil the Indian prices for the 4.7-inch iPhone 6 and the 5.5-inch iPhone 6 Plus. If market buzz is to be believed, the new iPhones will come with premium pricing in India, making them one of the most expensive models by the company. "Indian market, which is more Android dominated, is unlikely to find major excitement among the buyers, other than the Apple loyalists. Till now Apple has lived by its own rules but now competition seems to be clouding its decision making. The package is certainly not good enough to make an Android user want to make the switch to the iOS bandwagon," said an expert. Experts said the features and applications Apple unveiled are little futuristic for the Indian market and will take time for find takers here. Things like mobile payment, health applications are little advance for Indian consumers, said experts. Zydus Wellness Ltd will unveil the Everyuth naturals Advanced Tulsi turmeric, which will be a Re 1 sachet and to be launched by Bollywood actor � Nargis Fakhri. The company will also launch 'Donate your calories to help nourish children' campaign for its brand Sugar Free. The event will see participation of Akshay Kumar � Bollywood superstar and chef sanjeev kapoor. The campaign talks about saving the unwanted calories and adopt a fitter lifestyle. A scientific journal that recently published a controversial study about how emotions can spread across social networks issued a note today (July 3) to address the uproar caused by the contentious research. The study, published June 17 in the journal Proceedings of the National Academy of Sciences(PNAS), was conducted by Facebook researchers to investigate a phenomenon dubbed "emotional contagion." 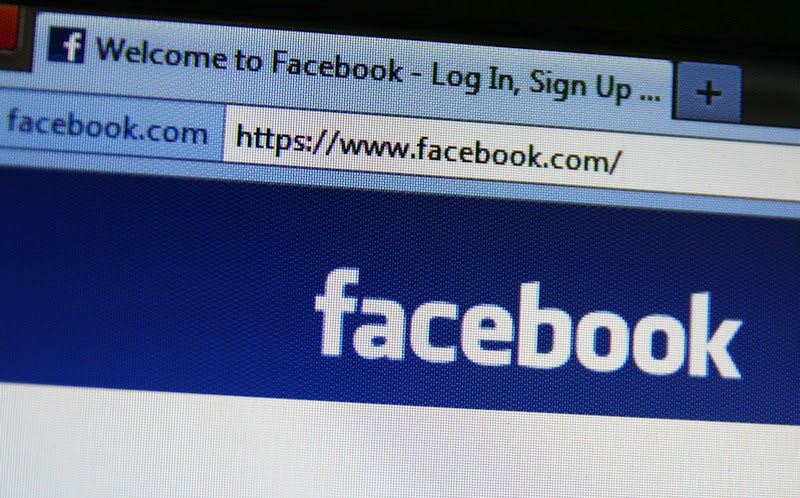 For the study, the researchers altered the types of posts that could be seen in the news feeds of more than 680,000 Facebook users � making fewer positive posts visible for some individuals, and limiting the number of negative posts that could be seen by others. The researchers found that emotional states can spread across social networks, but when the findings were published, the research sparked furor among individuals who felt the study violated personal privacy. Prime Minister Manmohan Singh inaugurates Terminal 2 at Chhatrapati Shivaji International Airport; world-class facility built at a cost of Rs 5,500 crore will start operation only in February. 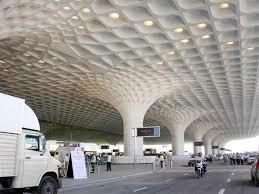 The state-of-the-art Terminal 2 or T2 at Chhatrapati Shivaji International Airport (CSIA) was officially inaugurated by Prime Minister Manmohan Singh on Friday. 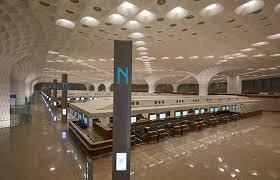 Built at cost of over Rs5,500 crore, the terminal will be thrown open to public within four weeks. Earlier, the operation was to start from this month itself. �Mumbai deserves a world-class facility like the T2,� Singh said, adding that �opening of T2 will inspire other infrastructure projects to achieve similar feat.� Maharashtra governor K Shankarnarayan, chief minister Prithviraj Chavan, civil aviation minister Ajit Singh and Union agricultural minister Sharad Pawar were also present at the event along with other central ministers and bureaucrats. According to aviation experts, development of the airport seems significant for the city as unlike other important airports, CSIA is located in a confined area with no space to expand. Only 1,400 acres are available. �On the contrary, Hyderabad and Bengaluru airports have over 5,500 acres of land available and the development had to be carried out without disrupting the on-going flight operations,� Chavan said. Airport insiders claim that CSIA�s area per passenger is one of the smallest in the world, yet it manages about 19 per cent of the country�s air passenger traffic and about 29 per cent of the nation�s cargo traffic. 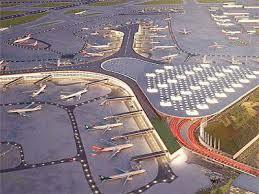 In 2012-13, the airport handled 30.21 million passengers and 0.6 million tonnes of cargo. According to forecast by aviation experts, the passenger traffic in Mumbai is expected to reach 80 million per annum by 2026. Likewise, the air cargo is expected to reach 2 million tonnes. With the opening of T2, the passenger capacity of CSIA will shoot up more than 40 million passengers annually. 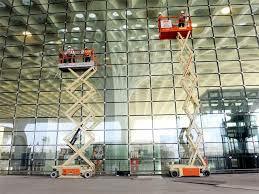 Under the privatisation policy of the central government, CSIA was given to private parties for modernisation in 2006. 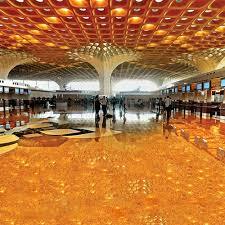 GVK-led consortium bagged the contract for Mumbai airport. The spanking four-storey glass marvel, whose design has been inspired by a dancing peacock, has some of the most advanced state-of-the-art passenger convenience system. It has 208 check-in-counters, 43 security pedestals, 161 elevators, one day hotel and one transit hotel, automated baggage system capable of handling 9,600 bags per hour, and a dedicated 6-lane elevated expressway. The terminal also has country�s largest multi-level car parking area as well as world�s longest cable stayed glass wall (15 metres). 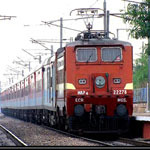 Providing more options to book train tickets, Indian Railway Catering and Tourism Corporation along with Microsoft has developed IRCTC app for Windows 8. After downloading the app, users have to log in with a user ID and a TPIN, which can be generated by clicking a link. Users can find out trains between stations, check reservation status, train timings, etc. The app also shows maps of train routes. Currently, the e-ticketing website logs more than 4 lakh tickets a day on an average. Well-known action-packed indie sandbox action-adventure role-playing game Terraria, which is on Xbox Live Playstation and on iOS, has now come to Android. 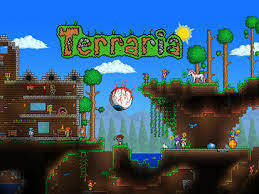 You can make weapons and confront a variety of enemies; either high up in the sky or deep underground. You can gather a number of resources like stone, ore or wood to make a world of your own and defend your buildings against zombies. The game adapted for both tablets and phones has over a dozen environments and over 200 crafting recipes to choose from. When there is a good note-taking app, you don�t need to look for a pen or notepad. Adding to the list of Evernote and Google�s Keep, is Simplenote from Automattic, the makers of Wordpress. On a very simple and clean interface the notes stay updated across all your devices. There is a share feature that enables you to work in group. The notes are backed up when you change them. All you need is to drag the version slider to go back in time. All your notes can be searched and they can be organized with tags and pins. Though there are a number of apps to organize our daily routine, email continues to occupy the central place. Tipbit on iOS, claims to be an upgrade of your inbox, and brings your calendar and social media into the email in an easy-to-use manner. You can see a contact�s LinkedIn and Facebook updates as well as their latest tweets, and share them with a single tap. Another feature allows you to search anything in the email with just a tap, without having to paste it into a search engine. Yahoo is aiming for a bigger role on iPhones and iPads with the release of its first mobile application tailored for watching video on touch-control screens. The app is called Yahoo Screen. It has been set up to make the experience of sifting through video on smartphones and tablet computers more like channel surfing on a television. Yahoo is rolling out eight comedy series made exclusively for its website, along with clips from more than 700 episodes of NBC�s �Saturday Night Live� broadcast during the past 38 years. The app initially will be available only for iPhone and iPad, but Yahoo eventually intends to develop a version compatible with devices powered by Google�s Android software. Opera has a new browser for iPad: Coast. There are no back and forward buttons, instead it works on swipe gestures. It you stumble on an unsafe site, it warns you with a big cross. The home screen has three main elements: a search and address field, Speed Dial grid, with more entries accessible by swiping to the left or right and recently opened sites, that are not currently in a Speed Dial entry. At the bottom of a displayed page, there are two icons: the middle one button takes you to the home screen, the bar button on the right shows recent sites visited. If you long-click a picture, you can save it or set it as the background for Speed Dial. 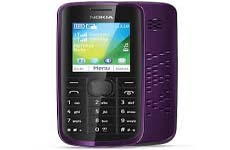 Nokia has unveiled its first mobile phone in India built primarily to target about 15 crore Urdu-speaking population in the country. The dual SIM Nokia 114, priced at Rs 2,579, will support nine languages including Urdu, English and Hindi, and has a talk time of up to 10.5 hours on 2G network. 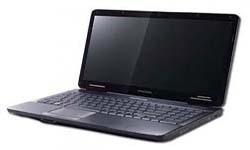 It has features for internet browsing and has a 0.3-megapixel camera, FM radio and video streaming among other features. �Over time we have developed supporting language capability in our device but one thing that we were missing was Urdu,� Nokia India Managing Director P Balaji said. A new versatile, multi-featured, extendable Bluetooth low-energy device for iOS and latest Android OS-based smart phones has been launched. Called Gecko, it can initiate control music or trigger your smart phone camera and generate intruder alarms for any of your precious personal belongings. You can stick Gecko to a pill box and get alerted if it is not been used at the scheduled time. You can also stick the device on your baggage while travelling; it will alert you if your bags are moved. It can also act as a smart leash for your pets. The Gecko can be plugged into your DSLR camera and you can use your smart phone to capture images remotely. Lenovo India launched TinkPad Edge E431, a laptop with the OneLink technology that offers a unique dock-and-power connector that can transmit audio and video with a single connection. It is powered by the latest 3rd Generation Intel Core processor, Windows 8 operating system and optional NVIDIA GeForce Discrete Graphics. 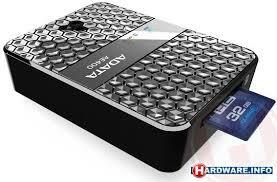 Built for small businesses, it can be equipped with 16 GB memory (maximum) and comes with built-in dual array microphone that enhances VOIP with advanced noise cancellation. The machine is amplified with a large, intelligent 5-button TouchPad optimized for Windows 8. At 25mm thickness, ThinkPad Edge E431 is one of the thinner business notebooks available in the market. TOKYO : Sony has already taken part in the upfront market for the sale of commercial time ahead of the 2013-14 season, for properties like the GSN cable channel and the Crackle digital video website. Now, the company is expanding the upfront selling process to the PlayStation 3 video game system. The Sony Pictures Entertainment is selling ad units in advance, like those that fill the welcome screen of the PlayStation Store, which game players see when they switch on the console. Instead of going by the fall-to-spring calendar of the television business, these sales are being made on a calendar that runs from July 1 through June 30. The welcome-screen pitches, which are being called Mosaic Zero ad units, have already been sold to the Walt Disney, to advertise the coming movie �The Lone Ranger,� and the Turner Broad-casting System division of Time Warner, to promote the TNT television series �Falling Skies.� In addition to entertainment marketers, who seem natural advertisers for a video game system, other buyers of Mosaic Zero ad units include packaged-goods makers like ConAgra Foods, for Slim Jim jerky and meat sticks; the Dr Pepper Snapple Group, for Dr Pepper soft drinks; Mentholatum Brands, for Rohto eye drops; and Reckitt Benckiser, for Clearasil. 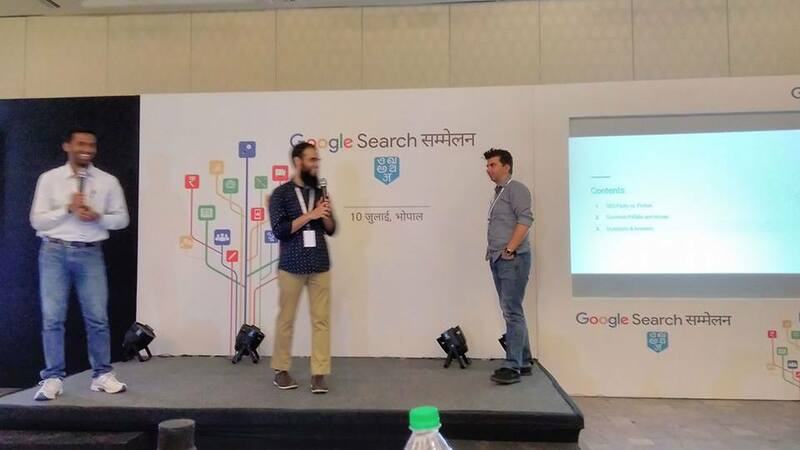 MUMBAI Search engine Google on Monday launched a new ad format 'Product Listing Ads' in India to provide users information like images, price and brands of products, which will help people shop better both online and offline. Everyday, millions of shoppers use Google search to research and discover products to purchase online and offline, and this new format connects users to rich product-information like looks, price and brands, Google India said in a statement. Product Listing Ads will appear on shopping-related queries on Google.co.in. This feature will initially be placed on the right-hand side of the search results page above text ads, and it will be labeled as 'sponsored', it added. Confederation of Indian Industry Southern Region is organising a follow up conference with the title ACT- �Achieve CyberSecurity Together�. The one day conference will be held on 13th July 2013 at Hotel Hilton, Chennai, TamilNadu. This is a sequel to the conference held by CII in 2010 when the scenario was different from the threats of today. The objective of the �Achieve Cybersecurity Together (ACT)� � with a theme �Face Cyber Threats & Challenges� is to discuss greatest emerging cyber treats across the nation. The challenges, technological gaps and necessary research directions related to cybersecurity, as well as the best suited instruments to implement the tasks. Cyber-security has been defined by the International Communications Union (ITU) to mean the collection of tools, policies, security concepts, security safeguards, guidelines, risk management approaches, actions, training, best practices, assurance and technologies that can be used to protect the cyber environment and organization and user�s assets. It can be considered to involve several major threats including: espionage, cyber-crime, cyber-war, cyber-terrorism, and dis-information campaigns. For example a Cyber-Security breach could involve remotely corrupting the information/knowledge space of people and/or organizations or disrupting the flow of data/information between people and/or organizations. Important elements of a cyber-security culture include: awareness, responsibility, response, ethics, democracy, risk assessment, security design and implementation, security management, and reassessment. The current scenario is that Cyber security is a necessary consideration for individuals and families, as well as businesses, governments, and educational institutions. It is important to recognize the different types of risks that exist in the online world. Information security, data integrity are concerns which affect everyone today. Information must retain its integrity and not be altered from its original state. Thus, it has become a necessity for individuals and organisations to get acquainted and cope with the biggest intangible threat of the century. I am writing to invite you & your colleagues/faculty/students to participate in this important conference as an opportunity to discover and share critical intelligence on issues shaping the future of national cyber security and contribute to the conference by submitting paper. The papers will be screened/ shortlisted by the committee and officially published by CII at the conference in form of CD. All conference delegates receive a free copy as part of their registration fee. � Need for effective National Cyber Security infrastructure. We would like you to maintain the limit of 500 - 600 words of your paper. The paper to be submitted should be original and unpublished. Kindly send the brief profile of the author with photograph. The paper should be MS word format and authors should give references wherever required as per standard format. Ten countries including China accounted for three-quarters of the world's cyber of 2012, according to Akamai Technologies, which helps companies speed the delivery of online content. China accounted for 41% of the world's attack traffic the country the top source of cyber assauits. Investigations have discouverd a sophisticated hacker network in China. Some members are connected to China's milltary. The US accounted for 10% of the would's attack traffic. The US' share dropped from 13% in the previous quarter. The country is home to members of some of the would's most notorious hacker groups, including Anonymous and AntiSec. Trukey accounted for 4.7% of the world's attack traffic. Turkey's share increased from 4.3% in the previous quartar and fell from 5.6% in the year-ago peried. Russia was home to 4.3% of the world's attack traffic. Russia's share decreased from 4.7% in the previous quarter and 6.8% in the year-ago period. Taiwan, which is a province of China, accounted for 3.7%. While Taiwan is a top source of attack traffic, it is also a popular target. Research by security firm Sophos found that 12.7% of computers in Taiwan had been attacked by mahware during a three-month study last year. India accounted for 2.3% of the world's attack traffic during the fourth quarter of last year. India's share decreased from 2.5% in the previous quarter and 3% in the year-ago period. 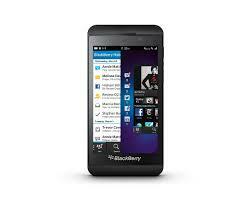 The Z10 is BB's flagship handset which comes packed with a bunch of new features. 'Hub' lets you manage all emails, BBM messages and social media updates. 'Flow' enables features and apps to work seamlessly together: Users, for instance, can top on an attendee listed for a meeting to see their latest tweet or Linkedin profile. Then there's BBM with voice calling and wideo chat; 'Balance' that separates and secures work applicatons and data from personal content; 'Time Shift' camera that lets users smartly 'edit' photos for shots where everyone is smiling and with their eyes wide open. Besides, the Z10 comes with support for content in eight Indian scripts(Telugu, Tamil, Kannada, Malayalam, Devanagiri, Gurmukhi, Gujarati, and Bengali) - and of course BlackBerry 'Safeguard' technology for extra security. The DashDrive Air is as an external wireless memory card and pen drive reader which can stream data to connected devices such as a phone or a laptop. It can connect to existing wireless networks to create an internet bridge connection, serving as a hot spot for 10 other devices, And it comes with a built-in power bank to let you charge your portable device on-the-go, boasting of up to two full charges for a smartphone. What's more? All this versatility is packed in an eye-catching design with a hexagonal lattice pattern. This wireless mouse is small enough to slip into your pocket - and is designed by Microsoft to complement the Windows 8 experience on tablets and PCs. Touted as ultra portable become of its form factor, this computing accessory provides four-way touch scrolling and navigation; comes with the proprietary BlueTrack technology, which means that the mouse can be used on just about any surface; and it even goes into sleep mode along with the device it is paired with to save battery. 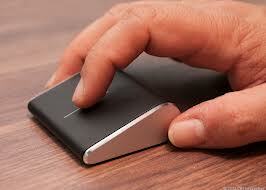 Additionally, it is designed to work just as well for right-handed users. Department of IT, MP Govt. presented the e-Governance awards to the Govt. Officials for the best use of IT in the public services. 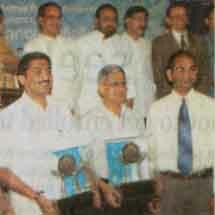 Best e-Governed awards were presented to the collectors of Mandla and Seoni. The best IT project for the masses was shared by agriculture department for "Krishi Net" and transport department for online Tax payment and the E-Seva project. Best e-Governed District - Mandla and Seoni Collectors. Best e-Governed District Citation - Jabalpur Collector - Mr.Sanjay Dubey. 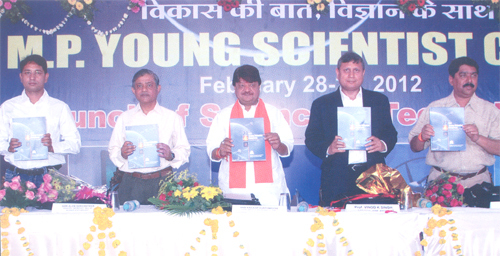 Best Project IT for Masses - Agriculture Department Principal Secretary Mr.Pravesh Sharma. Best Project IT for Transport Department - Commissioner Mr.Upendra Jain. Best Application Software Development in MP - Forest Department and MP Eastern Discom. Best Exporter in MP - Yash Techonologies Indore Mr.Dharmesh Jain. Best in Exporter in MP citation - Impetus Infotech Ltd.
Indian Space Research Organisation (ISRO), through another important move in Space Program, put the 2775-kg Communication Satellite Insat 3E into geosynchronous transfer orbit (GTO) on the height of 36,000 k.m. above the Equator. This satellite was carried by European Ariane 5 along with two other satellites - E-bird for Europe's Eutelsat & Smart-1 for the European space agency from the spaceport of Kourou in French Guyana. Insat 3E, put in 55 degree East Longitude, is amply a communication satellite. It would replace Insat-2DT & increase the number of Transponders up to 128. The Insat-3E, with an operational life of 15 years, is the fourth in the Insat-3 series. This operation would give a boost to communication & TV services. Undoubtedly, nobody is going to believe if he is told that, somebody on this earth, made a pulsating heart placed out of human body, that also for total 6 hours. This miracle took place in America. Two doctors in America not only isolated the heart of a woman from her breast & kept it in a pail full of ice but also, also reformed and thereafter, planted it in its genuine place & made it palpitate. The two doctors, Bartle P. Grifith & James S. Gamy, belong to University of Maryland Medical Centre and, name this astonishing operation "Autotransplant". The woman named Sendra Laniar was a patient of Micsoma, a kind of heart-tumour. After this surgery, Sendra now has a chance of occurring the tumour again as less as 5 to 10 percent. Also, Sendra needn't to go to any Surgeon every second year as she used to do.